This handsome stunner is one of our all-time favorite chairs. Easily customizable, we can create a look that fits any home. 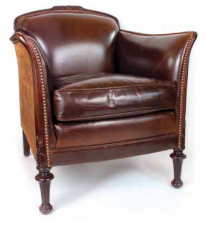 Classic Leather’s attention to detail and quality design mean this chair will last a lifetime. Made right here in the USA.